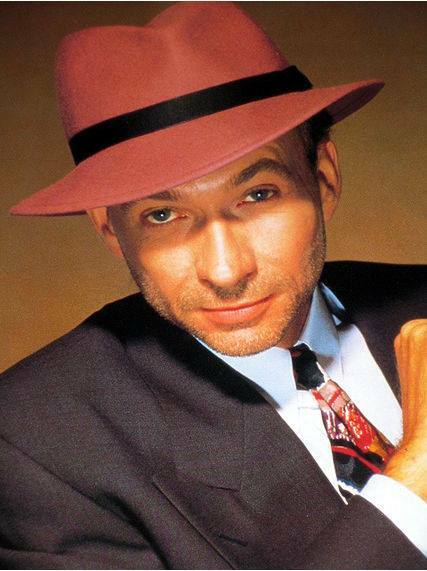 Bobby Caldwell has established himself as an adult contemporary powerhouse. He is an acclaimed singer/songwriter and his music has been featured in numerous films including “The Perfect Man” and “Simone”. His beginnings started in Manhattan, NY where his parents were the host of Suppertime, a TV variety show. This exposed young Bobby to the influence of music and planted a seed that would grow into the music mogul we know today. Bobby began playing guitar at age 12 learning and performing Rock & Roll, Jazz, and R&B. He formed a band at 17 and took to the road eventually recording an album entitled Kathmandu. Despite the album not taking off, Caldwell did not give up. He eventually began working on his breakout album, What You Won’t Do for Love. It was released in 1978 and scored him the smash hit single, titled by the same name as the album, that we all still love today. “What You Won’t Do for Love” has been sampled by more than 100 artists and serves as a testament to the timeless sound Caldwell has created. His latest project House of Cards is an album Caldwell created to reach over all genres of music and attract all audiences. Caldwell states, “This work of art is a personal endeavor that does not service a particular format.” By creating music that crosses all music genres he continues to have a strong presence in music. Caldwell shares with iRock Jazz some of his insight on how he has accomplished long term success and how he continues to remain relevant. iRJ: Your parents did a variety show. How much impact did their career have on you going into the music business? BC: It was huge. It was pretty much the deciding factors. As a kid I was always at the Ella Fitzgerald headquarters or Sinatra headquarters. So I was always surrounded by the American songbook, show business, theater, stuff like that. I reached a point in my life where it became an obvious thing for me. iRJ: How difficult is it to maintain your position against people such as Tony Bennett and Frank Sinatra? BC: Michael Bublé, Natalie Cole, Rod Stewart, Brian Setzer, Harry Connick, Jr., and myself, we all carry the torch to keep the American song book alive. It wasn’t necessarily about repeating what Sinatra did, although it’s a heavy influence and a hard act to follow. At the end of the day it’s about keeping the American songbook alive. iRJ: If you had to say, what is the American songbook today? BC: Let’s say the American songbook cuts off around the mid-50s – there have been so many songs that have been included in the songbook since then, for instance, “At Last” by Etta James, “I Love You Just the Way You Are” by Billy Joel and “Yesterday” by the Beatles. So if you bought a new issue of the American song book today you would probably see the songwriters I just mentioned included side by side with the greats of yesteryear. iRJ: Was crossing over into R&B and having a strong African-American following a surprise to you or was it done deliberately? BC: No, it wasn’t done deliberately and it was a surprise. My debut album, which was entitled Bobby Caldwell, when it was finished, “What You Won’t Do for Love” was not on the album and hadn’t been written. Though the label was happy with the product, they didn’t feel they had their breakout single. So after ten months of blood, sweat, and tears I went back into the studio in haste and wrote the song without giving much thought to it and that’s the one that ended up being the break out single. iRJ: That particular song has been sampled by 100+ artists, many being African-Americans, what do you think that song meant to music or the industry as a whole? BC: To the young artist, there is some connection between their parents and what their parents have in their library of vinyl. They’re exposed to it in some way somehow. I never would have thought about the young rappers covering that song, but they do. And the question is how do they know about it, because it is way past their time? I have to assume it’s the parents. iRJ: What is your favorite setting to play, small clubs or big venues? BC: I love the small clubs, because of the intimacy. When you can see people and interact with them, that really is my cup of tea. I like that better than being in the theater where I am blinded by spotlights and I can’t see past the first row. iRJ: What has been your secret in reinventing yourself or staying relevant to today’s music? BC: I wish there were a secret but there is not. I just make my changes or moves on the cuff with what is going on around me. The music is shifting and I haven’t always shifted with the music. However, I do have an affinity with the American songbook. Instead of having a bunch of synthesized instruments on the stage there is something about performing with an orchestra that is fabulous and rewarding and I think people like it. iRJ: Would you consider yourself a jazz musician? BC: No, never have. I was blue eyed soul brother, and then I was relegated to adult contemporary and I’m still doing the same thing. Nothing has changed. It’s just kind of a format to categorize you. That’s fine but it creates a stigma where you have to ask yourself, ‘What format are you servicing, where am I going with this’? iRJ: Is being labeled a blue eyed soul artist considered to be a derogatory term or a term of endearment? BC: It’s positive. It’s kind of like an open door welcome into the R&B community. I see it as positive and flattering. iRJ: How difficult is it to find air play today versus twenty years ago? BC: It’s a totally different world, to get airplay it does not work like it used to. We broke my debut single, “What You Won’t Do for Love”, doing a hands on campaign. We traveled around the country in a station wagon hitting every R&B antennae that existed in the country. Then we moved on from there to pop stations buying glazed donuts at midnight and bringing them into the station making relationships. That kind of thing doesn’t exist anymore. Now it’s a whole different paradigm. iRJ: When you have a hit record how difficult is it to come back with a hit record? What does it do to you as a performer to have a hit record and the next one is not? BC: I myself was never able to achieve the success that “What You Want Do for Love” did. Everybody wanted to hear another “What You Want Do for Love”. The truth is that had already been done. There was a part of my career where I started writing for other people and was able to achieve success with songs like, “Next Time I Fall in Love” with Peter Cetera and Amy Grant. A lot of people out there don’t realize I’ve got 14 albums out there including The Anthology (Part I and Part II). Everything in this business is a task and I hate to call it a business. It doesn’t really work like any other business I know. iRJ: What do you mean by “It’s not like any other business”? BC: You just can’t apply the same tactics to this business. If you try to apply what’s logical, you’re going to get foiled. Let’s take any artist who believes he’s got a hit record and he has a label behind him and all the promotional wheels in motion. It’s more like a crap shoot. Even the revenue from the business, you have to chase it down. Can it be called a business or not? I would have to say not because you are at the whim of so many other issues like the programmers, consultants, and stations all across the country whatever the format. iRJ: Do you think that to really survive you have to have a crossover to black urban radio stations and R&B? BC: There is somewhat of a monopoly on smooth jazz, adult contemporary, and pop, and it’s hard to break into either of those formats. I’d like to think that I can cross all 3 formats. iRJ: Do you find that now you have to do the duets or pair yourself up with the new artists to stay current? BC: As long as an artist has the will to still produce work, then there is a question to ask ‘Are you out of the mainstream’? I had to ask myself that question and answering that I started to reach out to people like Jack Splash who is on the cutting edge of new music. As long as I have a breath I will continue to work with the up and comers. 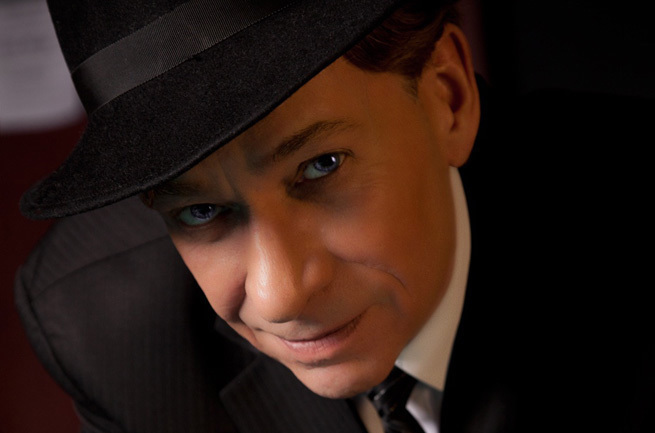 iRJ: What’s next for Bobby Caldwell? BC: Next is August 15th, my 62nd birthday, and I am still touring all over the world. I just released a brand new album. I do what I do to try to entertain my fans and gain new fans. I just completed a project with Jack Splash who won the R&B Grammy with Cee-Lo [Green]. We just finished this piece of work we are both excited about. What’s beyond that, I’ll kind of roll with the tide. 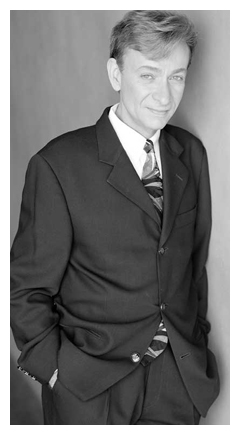 To support Bobby Caldwell’s newest project, House of Cards, please visit his website at www.bobbycaldwell.com. By ordering any of his CD’s online at his site, you can choose to have the copy signed by Mr. Caldwell himself. Check out Bobby June 14-15 at Yoshi’s Oakland.